Two stops on the Orange Line. That’s all it takes to erase a quarter-century off of your life. 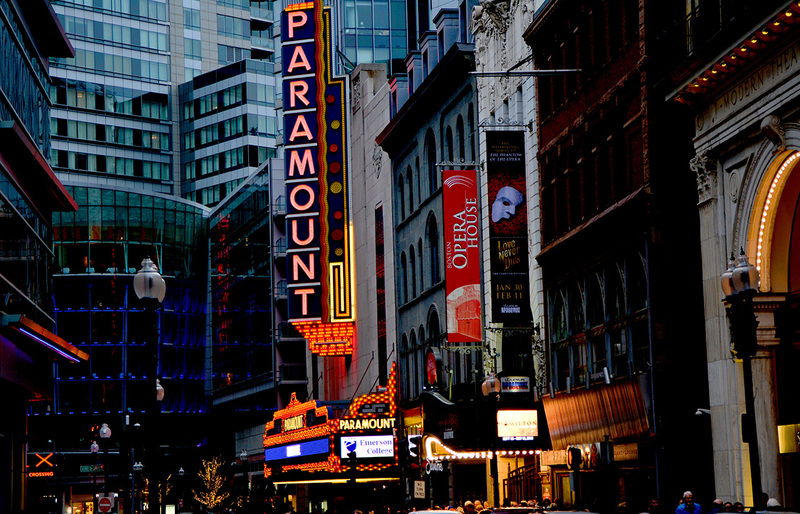 Boston is a city segregated by race, income and education. No statistic, however, shows Boston’s inequality in starker terms than the variance in life expectancy rates across the city. Parts of the Roxbury neighborhood have a life expectancy of less than 59 years – the shortest in all of Boston, according to a Virginia Commonwealth University study from 2012. Less than half a mile away across Massachusetts Avenue, residents of Back Bay have city’s highest life expectancy of almost 92 years. Roxbury’s life expectancy stands out internationally. There are 224 countries in the world, and only 16 have a life expectancy that is lower than Roxbury’s, according to the CIA World Factbook. The average adult in Syria, Iraq or the Gaza Strip can expect to live almost 15 years longer than the average adult living right here in a Boston neighborhood. 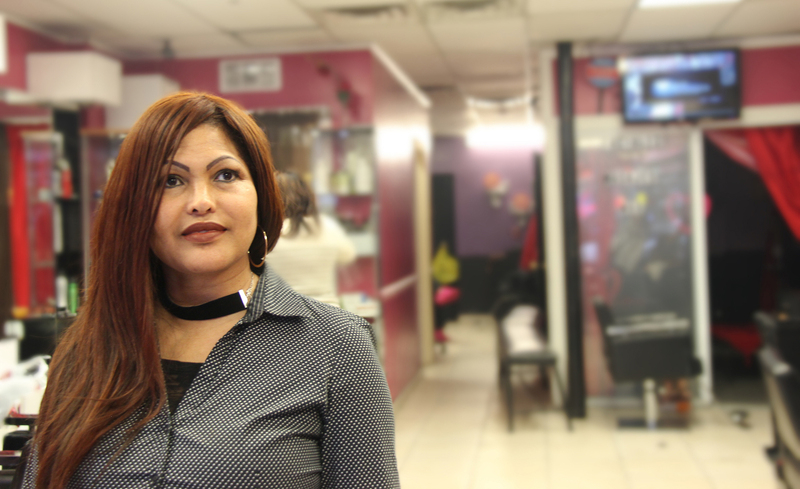 Rosana Rivera is the owner of Latino Beauty Salon in the heart of Roxbury’s Egleston Square, where the life expectancy, 62 years, is only slightly better than the neighborhood’s overall average. Rivera says her neighborhood has changed a lot in the 20 years she has lived here. Frequent police patrols have made the notoriously dangerous neighborhood a lot safer, she said, but that has simultaneously increased home values, raised rents, and made small paychecks feel even smaller. Roxbury has the most stabbings and shootings of anywhere in the city, according to the VCU study, but the violence and drug busts that lead Boston’s evening news are not responsible for the neighborhood’s shocking life expectancy, health professionals say. Instead, local leaders point to the hidden social determinants of health that define residents’ everyday life, like accessibility to healthy foods, places to exercise and lucrative jobs that pay for safe homes. People like Rivera – who are forced to skip a doctor’s appointment to make ends meet – are common here. Changes to MassHealth, Massachusetts’ Medicaid program, were enacted earlier this year to address these social determinants of health that plague Roxbury. On March 1, MassHealth launched its Affordable Care Organization (ACO) program, which partnered 17 health care organizations with 27 “Community Partners” who understand specific community-based health challenges and support “health-related social needs.” Under this plan, which covers approximately 850,000 MassHealth members, ACOs are financially responsible for their quality of care, which means they have an economic incentive to address social determinants that influence the overall health of patients. Boston City Councilor Kim Janey is not surprised by the dramatic life expectancy in Roxbury, one of the neighborhoods in the district she represents. 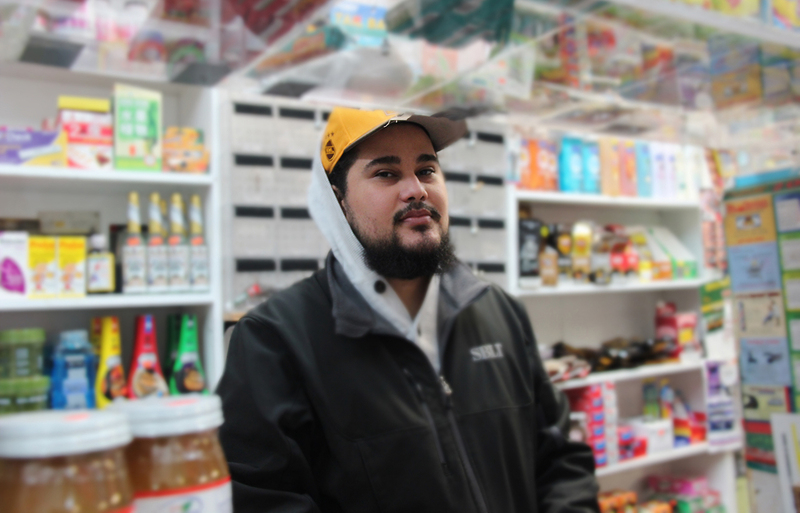 Eight years ago, when he first started working at Egleston Market II off of Washington Street, Francis Mendez says he used to see at least one shooting every week. Dr. Steven Woolf, Director of the VCU Center on Society and Health, who co-authored the 2012 study on life expectancies across Boston neighborhoods, says there are four forces that shape overall health in Boston and beyond. Besides adequate health care, these forces include behaviors (Do you smoke? ), physical environment influences (Do you live near open green spaces to exercise? ), socio-economic conditions (Can you afford the bus ticket to go to the doctor? ), and public policy (Can you afford rent and food on minimum wage?). Over the sound of hair dryers whirling in her salon, Rivera says she suspects the lack of healthy food options within walking distance of Egleston Square is a problem. There is a large population of elderly people in the neighborhood who can’t walk far, she says, and most residents can’t afford frequent $2.00 bus fares. Junk food at local stores is often their only option. Google Maps registers almost 40 fitness centers in Back Bay, compared to four fitness centers in Roxbury, one of which belongs to a local community college. If Back Bay residents want to exercise for free, they have the nearby Charles River Esplanade, Boston Common or Boston Public Garden. 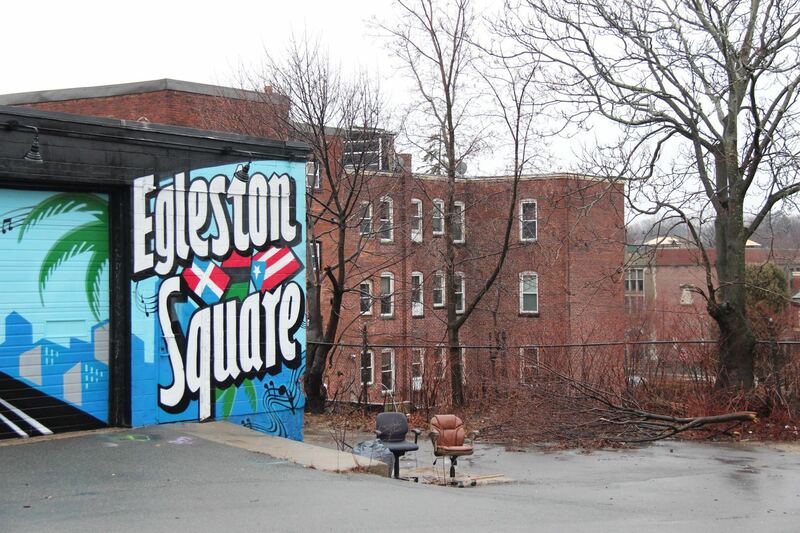 The only outdoor options for Egleston Square residents are narrow streets with fast car traffic, broken sidewalks and a handful of children’s playgrounds. A billboard for McDonalds’ “dollar menu” stands in the gym’s parking lot. Disparity between glistening city centers and low-income housing is not unusual in a city, but the close proximity is what makes Boston different, says Woolf. It’s possible to turn these disparities around, says Doug Jutte, executive director of the Build Healthy Places Network, an organization working to improve public health by facilitating communication between development and health professionals. He has seen multiple U.S. neighborhoods turn themselves around, including East Lake, Georgia. Two decades ago, the disparities between East Lake and nearby Atlanta were similar to that of Back Bay and Roxbury today, Jutte says. Although life expectancies of the area weren’t recorded, they were likely low: East Lake was nicknamed “Little Vietnam” because it often felt like a warzone. Jutte says that after joining forces with the group Purpose Built Communities in 1995, East Lake slowly started becoming the new neighborhood it is today – recently boasting a high school graduation rate of 100 percent – by addressing the social determinants of health. Jutte says that ACO health care models, like the plan Massachusetts recently enacted, are a good first step. Hospitals will now get paid to keep people well instead of getting paid after treating someone who is sick. “It gets the incentive in the right direction, which is important,” says Jutte. But better health care can’t raise Roxbury’s life expectancy alone, according to Councilor Janey. If residents can’t make a living to support their families, she says, it is all for naught. 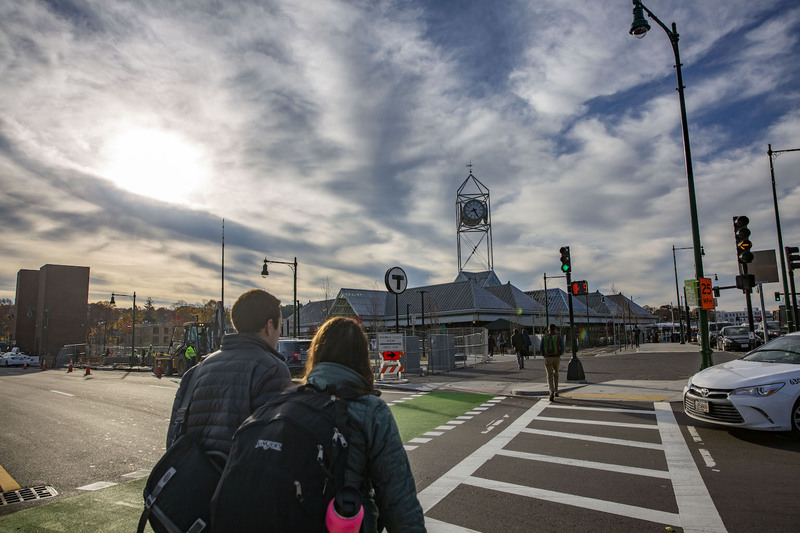 Read the rest of out Washington Street series, examining the neighborhoods and towns that fall along Boston’s longest road. 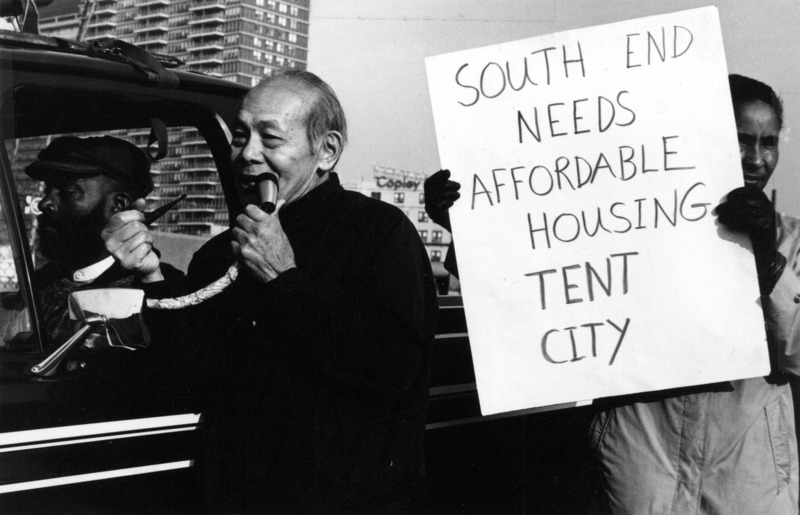 South End: Where have All the Activists Gone?